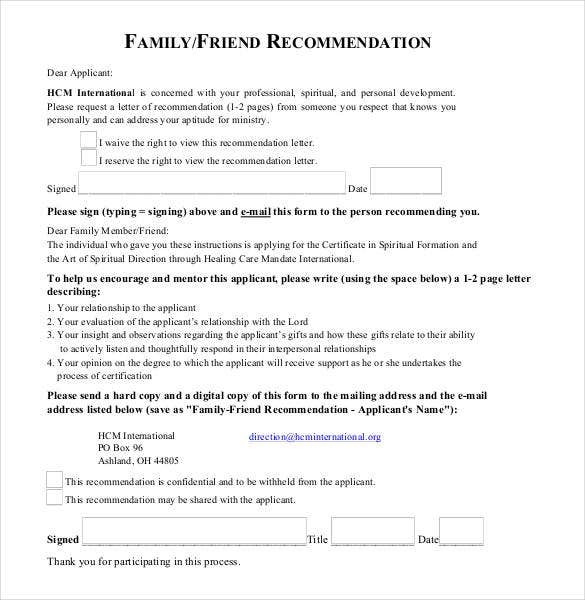 A Recommendation Letter for a Friend is fast becoming part and parcel of the adoption job application process today. If you hold a stable position in your organization, once in a while you may be approached by a friend or relative so that you may refer them to a prospective employer. 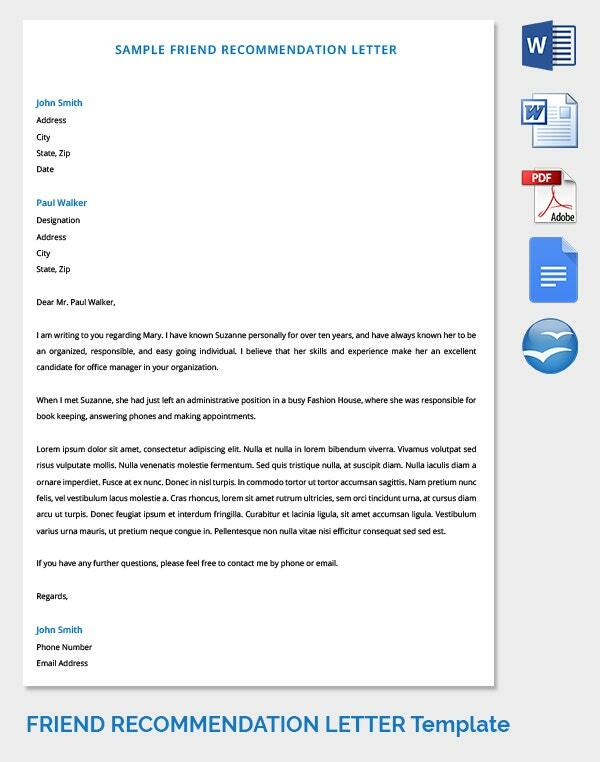 If you happen to be in doubt with your writing skills, help is available to get the job recommendation letter done. 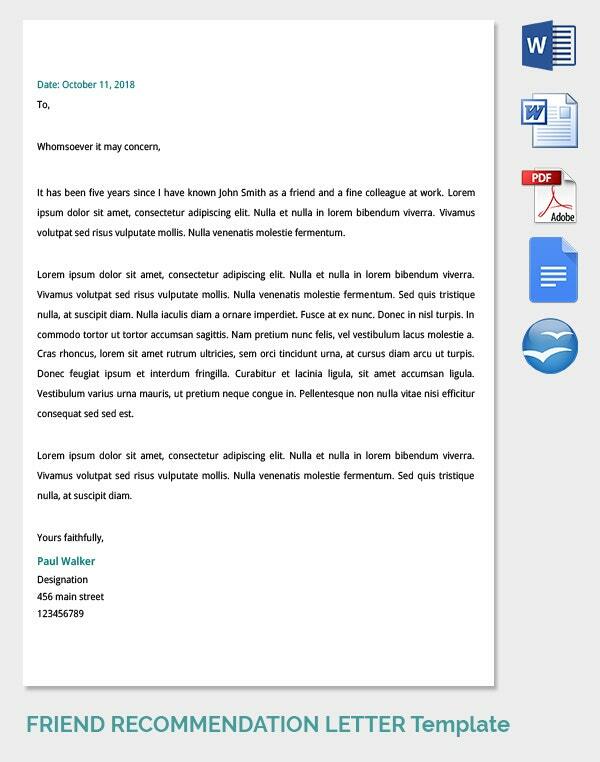 You can even download example sample letters in word format and use as guide to write the letter. The online platform is full of various sources that you can make use of. 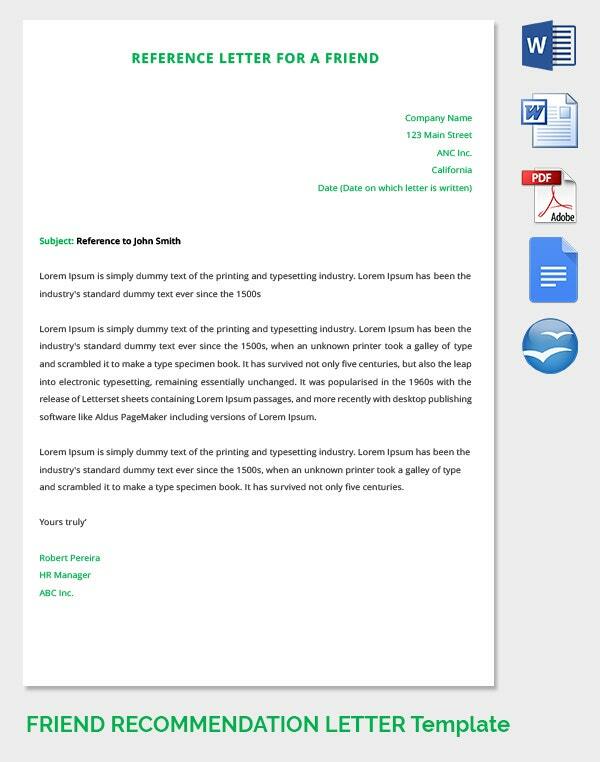 You can get an example of well written Letters of Recommendation to remind you of the basics as well as a step by step guidance from start to the end. 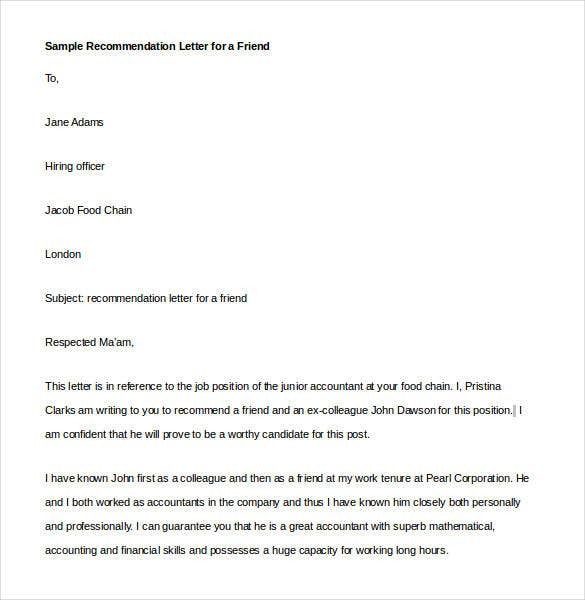 The Sample Personal Recommendation Letter for a Friend is a fuss free template which can be used by a friend, colleague or a senior at work to draft a recommendation letter for as aspiring candidate. 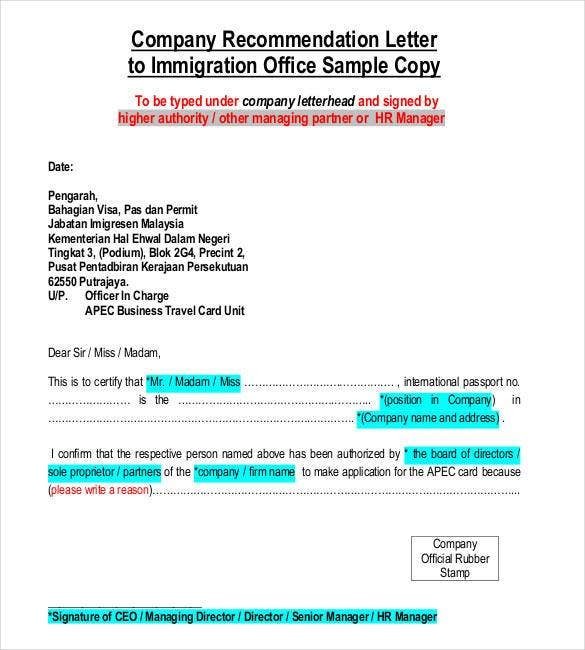 Incase any of your close friend is looking forward to migrating to a different country, he might seek your assistance in providing a character reference letter which could help him to clear immigration. 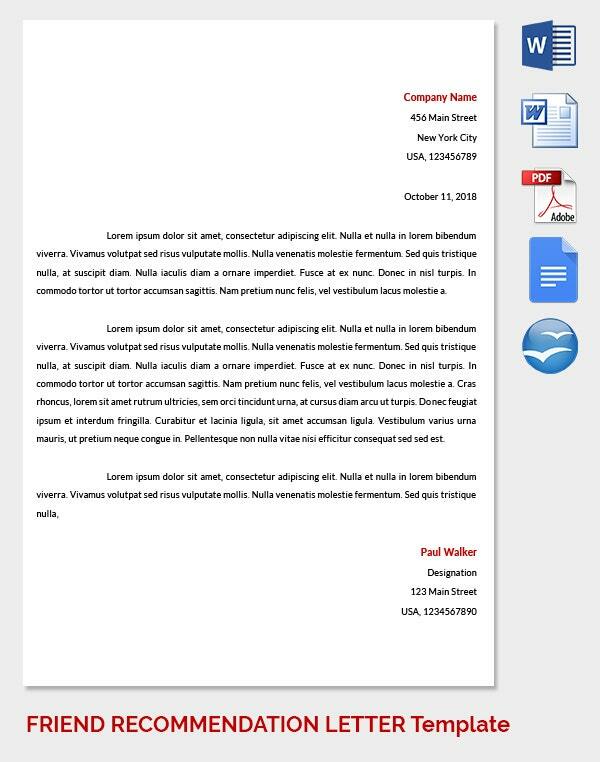 You can download the Recommendation Letter for a Friend for Immigration template in preparing a formal letter for the same. 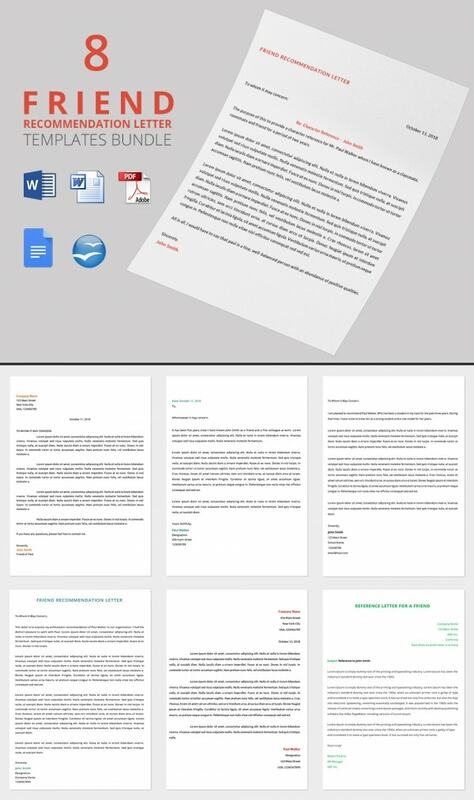 The Personal Recommendation Letter Template is a detailed formal template you can use to refer a friend who is looking forward to begin a professional career is a new organization. This template is suitable if you happen to hold a senior position in a reputed company. 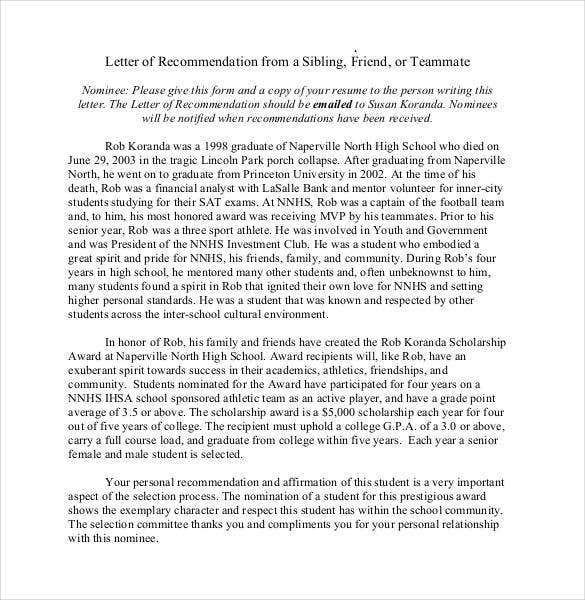 You may also see Letter of Recommendation for Student. 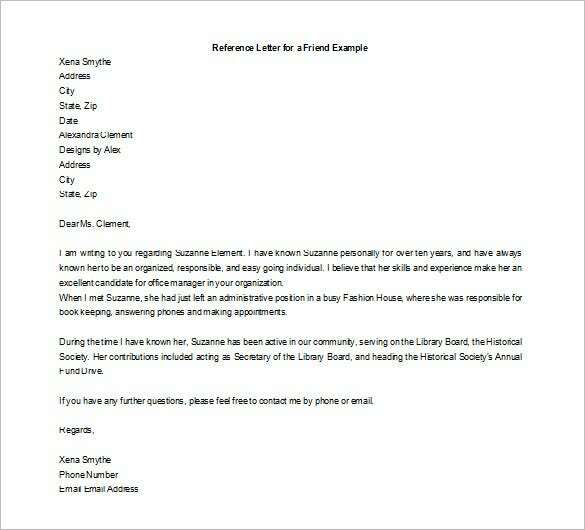 How to Write a Letter of Recommendation for a Friend? 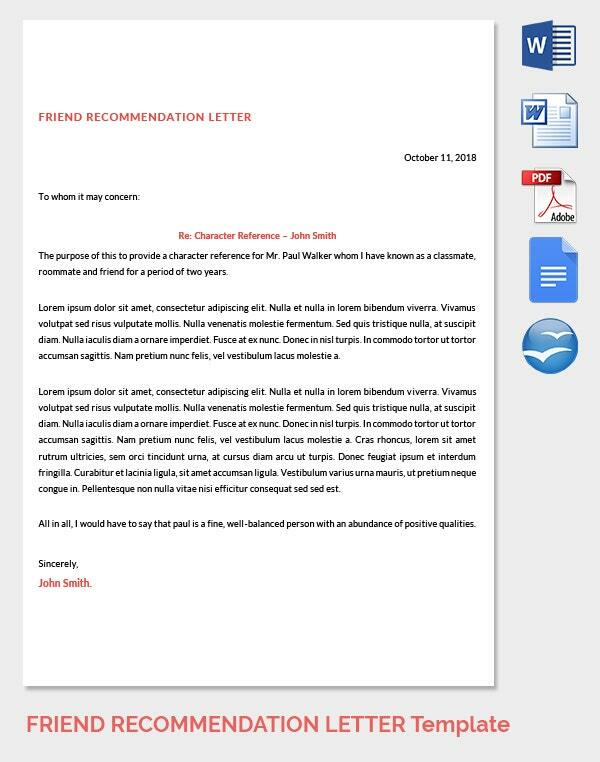 When writing a recommendation for a friend, be it a coworker or a student, you need to make sure that the information that you share in the letter is impressive enough such that the friend is able to gain the benefits you are recommending him for. 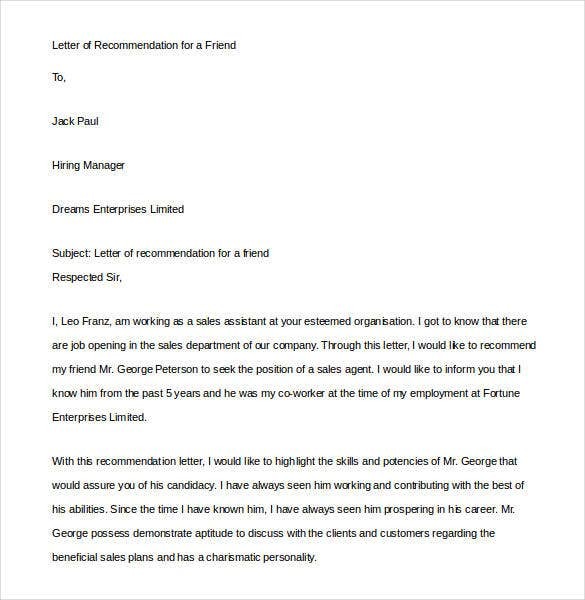 Using Coworker Recommendation Letter Templates will give you an idea of the format to be followed. 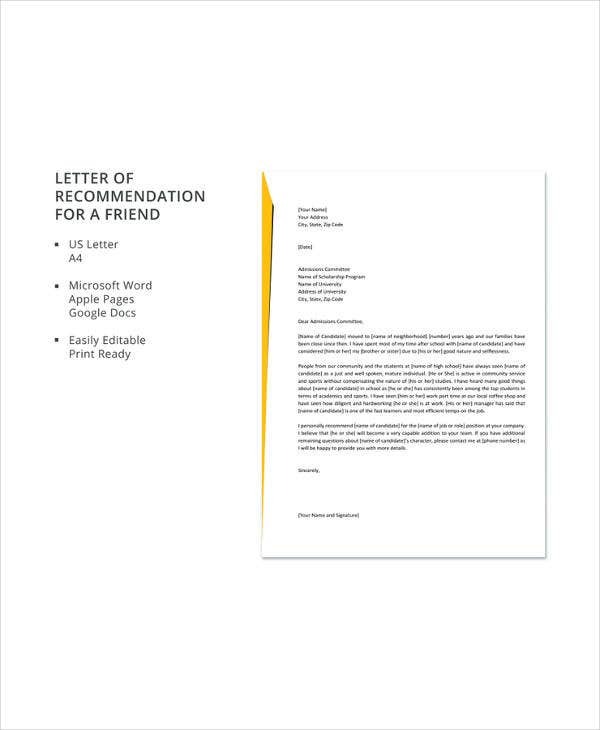 Here is how you can write a letter of recommendation for a friend. 1. Get to know more about the benefit for which you are writing the recommendation letter and make sure that your letter focuses on it. 2. Make sure that you have enough information about the friend that would come in handy when recommending him. 3. Don’t forget to mention how you know the person. 4. It would be a good idea to include instances of the talents and skills that your friend possesses. 5. Use a positive tone throughout the letter. 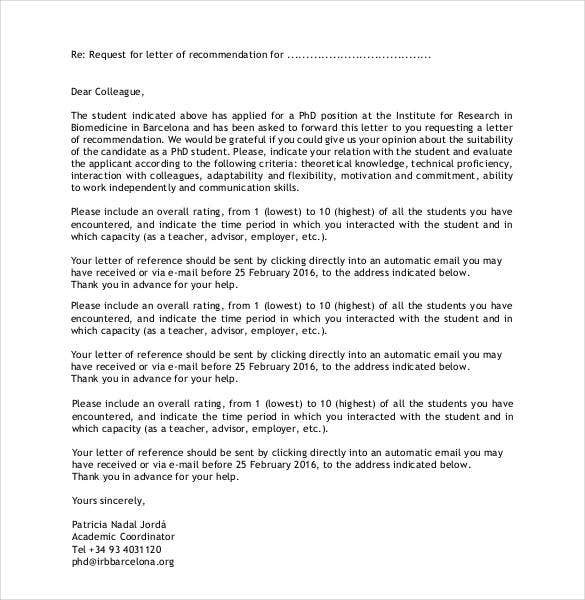 What to Write in a Recommendation Letter for a Friend? 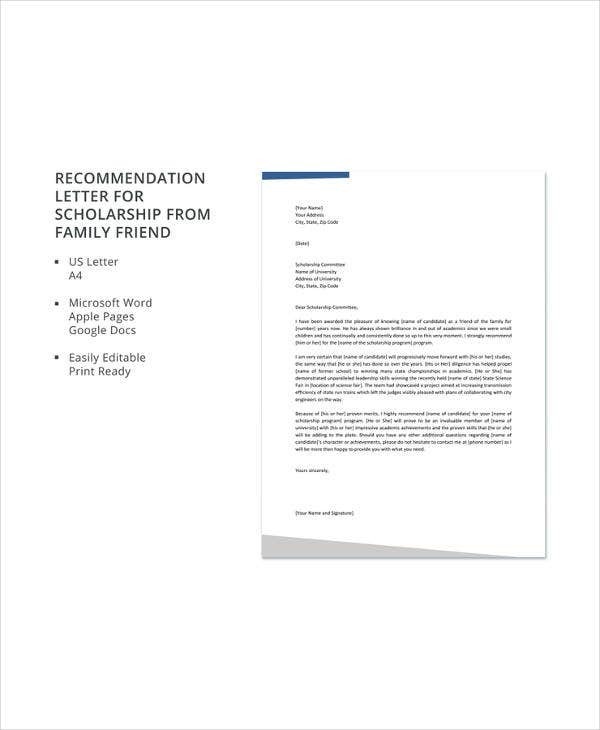 If you are thinking of writing a letter of recommendation for a friend or a colleague, it is important that you include all the essential information in the letter. 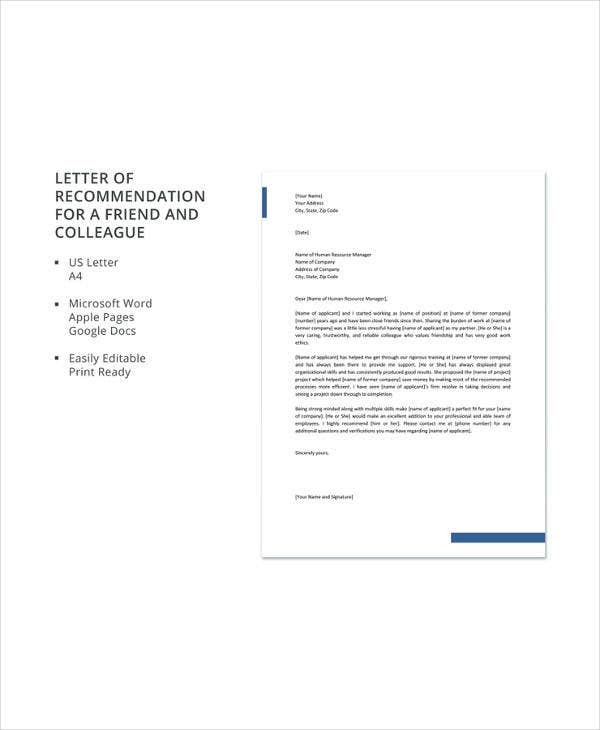 Take a look at what all you should write in a recommendation letter. 6. 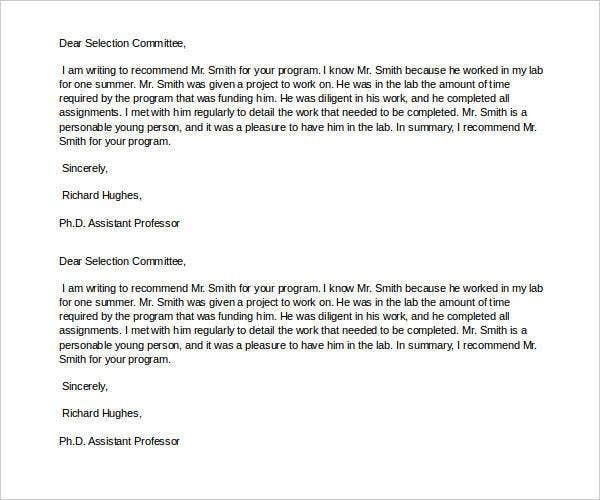 A proper conclusion Of course, it is also important to follow the right format when writing a letter of recommendation. 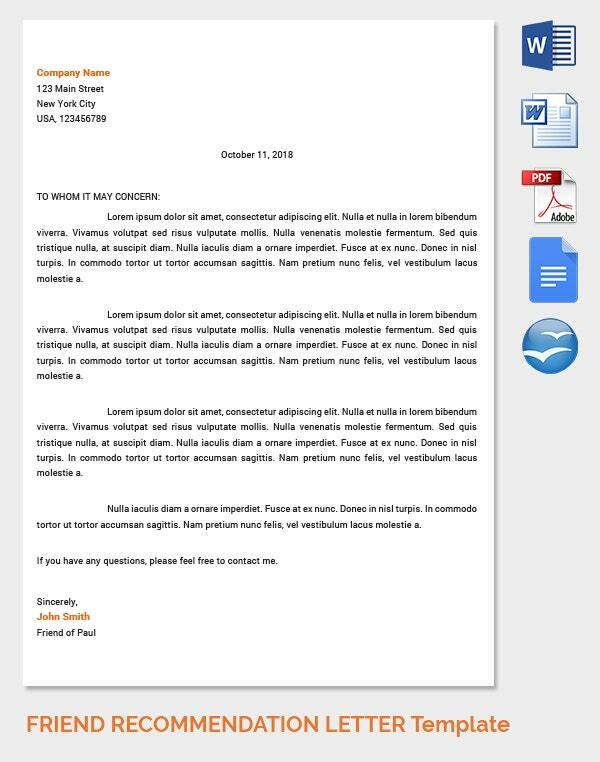 You can get a clear idea of this by checking out various templates online like Work Recommendation Letter Templates. 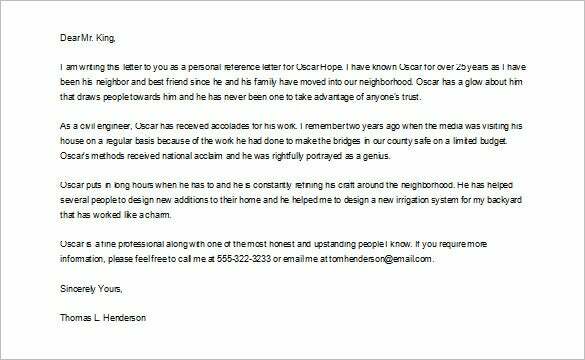 Writing a recommendation letter for a friend could mean the world to him. It may actually help him in gaining certain benefits that could be useful for him. 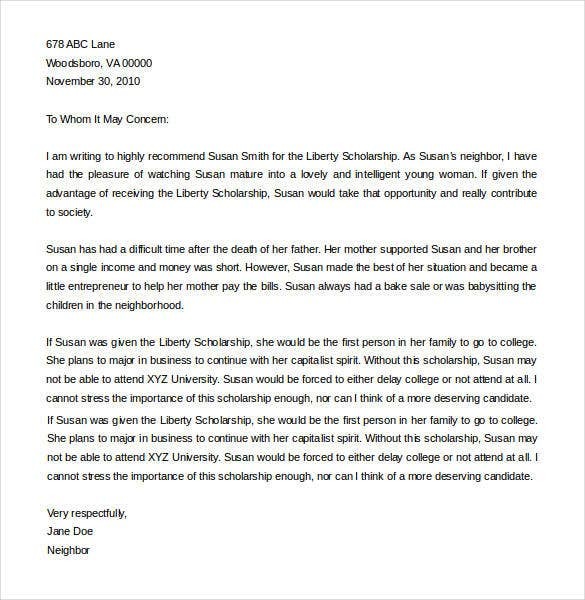 You can get an idea of writing such letters by taking a look at the different types of Friend Recommendation Letter online. However, if you are thinking of drafting such a letter without anyone’s help, here are some tips to help you out. It is very important that you follow the recommended format for the letter. Make sure that you focus on the benefit and give a brief description of it in the letter. Talk about how you got to know this friend and how long you have been acquainted with him. Give a brief account of his skills and traits that may prove helpful in getting the attention of the reader. It is equally important to share your contact details too in the letter such that the reader can get back to you in case he needs some clarification. How to Recommend a Friend or a Colleague for a Job? 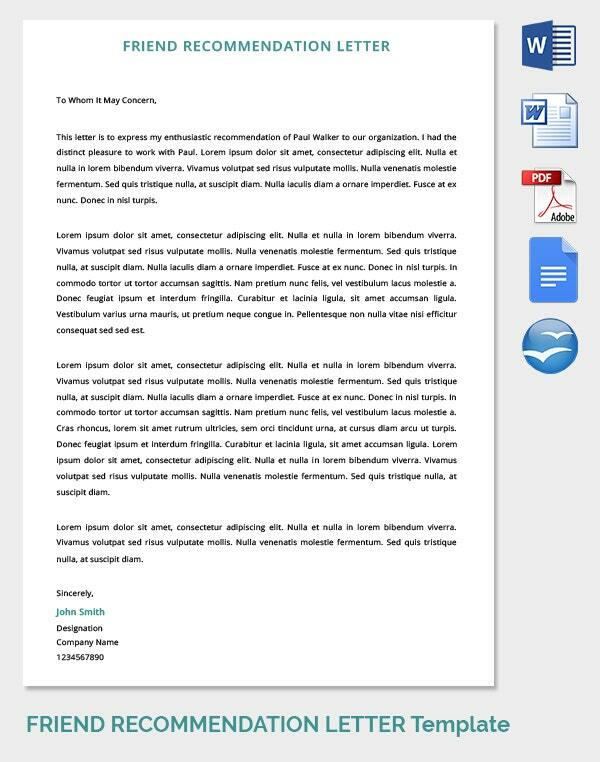 You have to be extremely careful of the letter format. It should be in sync with the latest industrial trends. You should be aware of the job or the post for which you are recommending the friend. Give an account of the job your friend is looking for and why you think he is perfect for the said post. You should be well aware of your friend’s qualifications. These should be suitable for the job for which you are writing the recommendation letter. Make sure that you give a brief account of the traits and skills of your friend that would be best suitable for the job.